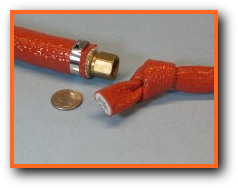 Firesleeve fire & pyro resistant sleeve and jacket withstands molten splash & welding splatter. Withstands 500°F / 260°C continuous exposure; 2200°F / 1205°C for periods up to 15 minutes and short flash excursions to 3000°F / 1650°C. 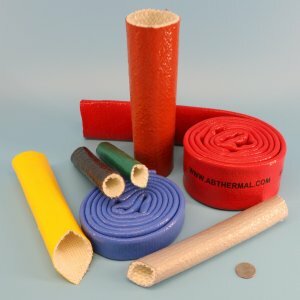 Firesleeve is highly flexible and conformable. 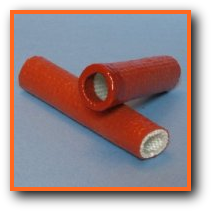 Firesleeve ends can be dipped in our SleeveSeal liquid silicone rubber end seal to prevent wicking of liquids and contamination. 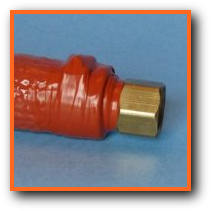 SleeveSeal tape can be used to seal the ends of sleeve at the connector for a watertight seal. Also protects the clamp if installed. 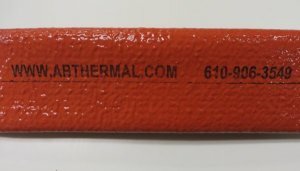 Firesleeve can be printed with identification, trademarks, warnings, etc.